The Ontario Liberal government has tabled a bill based on the ‘Changing Workplaces Review’ report that has passed and will soon become law. Below we have highlighted some of the general expected updates to the Employment Standards Act, 2000, which will affect many employers and employees. Before: As of October 1, 2017, the general minimum wage is $11.60 per hour. After: The government is planning to increase minimum wage to $14 per hour on or after January 1, 2018, and eventually to $15 per hour on January 1, 2019. The minimum wage for employees who serve liquor would only apply if the employee also regularly receives tips or other gratuities from their work. Before: There is no pay provided to employees for being on call. After: If an employee is on call to work and is not called to work, the employer would be required to pay an employee for 3 hours of work at the employee’s regular rate. An employer would be required to do this for each 24-hour period than an employee is on call. An employee would be entitled to be paid overtime pay for each hour of work peformed in the week after the total number of hours worked reaches the overtime threshold. The overtime pay would be one and one-half times the regular rate that applies to the work performed in that hour. Before: If an employee is forced to work on a public holiday, that is ordinarily a working day, an employer can either offer a substitute day for the employee to take off or the employer can choose to pay the employee public holiday pay for the day plus premium pay for each hour worked on that day. After: An employer would be required to pay an employee public holiday pay for the day plus premium pay for each hour worked on the public holiday instead of allowing a different day to be taken off. An employer would be required to provide equal pay for equal work regardless of a difference in employment status (casual, part-time, full-time employee, etc.). Before: Only an employee whose employer regularly employees 50 or more employees is entitled to a leave of absence without pay. After: Personal Emergency Leave would be provided to all employees, not just employers of employers with 50 or more employees. In addition, two days of the leave would be required to be paid days and employers are not permitted to require a certificate from a qualified health practitioner. Before: An employer shall pay vacation pay to an employee equal to at least, 4 per cent of the wages. After: An employer would be required to provide an employee vacation pay equal to at least, 6 per cent of the wages to all employees with at least five years of service. Although, this bill is yet to be in force and effect, it has been passed and will soon become law. 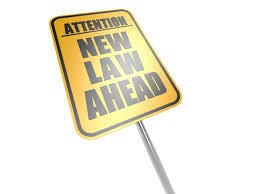 It is important for businesses and employees to be aware of these proposed changes. If you have an employment issue, please contact Monkhouse Law today at (416) 907-9249 for a free 30-minute consultation.